As a small business owner, one of the most frustrating things you can encounter is clients who don’t pay in a timely manner. When invoices remain outstanding for 30, 60, 90 days or longer, that can pose problems for your business’s cash flow, potentially making it difficult to meet your own expenses, or take advantage of a new growth opportunity. When you have unpaid invoices on the books, clearing them is a top priority. The sooner you can collect, the sooner your bottom line reaps the benefits. Here are some strategies for approaching unpaid invoices so your cash flow doesn’t take the hit. Getting in touch with a client regarding an unpaid invoice can be tricky. You don’t want to jeopardize your working relationship by coming off as too pushy or demanding but at the same time, you can’t afford to let invoices go unpaid indefinitely. Before you reach for the phone or dash off an email to the client, check to see when the invoice was issued and what the original due date was. This will give you a framework for requesting payment. While you’re at it, review their payment history to-date. If they’ve always paid promptly in the past, a recent missed payment could be a blip. Next, contact the client and request a status update on the payment. Be polite but firm and give them the benefit of the doubt in explaining why they haven’t paid. The goal is to get the client to agree on a payment date without making it feel like you’re hounding them. If the due date you agreed on has come and gone and you still haven’t been paid, you may have to put on a little more pressure. Resend the original invoice, with a note reminding them that it’s past due. If the terms of your contract specify a penalty, such as a late fee or interest charges, make sure your client knows what the penalty is and when it kicks in. Consider reaching out to someone else at the client’s company if you’re not getting any response to your requests for payment. It’s always possible that your contact could be sidelined by illness or traveling on business and isn’t able to process the payment. That may be enough to get the ball rolling. If it doesn’t, however, you might have to move on to the next step: initiating collection actions. Moving to the collection stage is a gamble because it could sour the relationship with the client permanently. For that reason, you have to think carefully about whether it makes sense. If you can’t gain any ground with the client, however, your options may be limited. Having a third-party, such as your accountant or attorney, contact the client means you’re not having to chase them down yourself. It can also help you cover your bases if you need to take additional legal steps to collect, such as filing a lawsuit in civil court. If you think you may have to sue at some point, be sure to keep good records of all your communications with the client as evidence of your good faith attempts to pursue the debt outside of court. As long as invoices are outstanding, that’s money you can’t count on to cover your business budget. If you have sufficient cash reserves, that may not be an issue but if you don’t, you’ll need to think about where you’re going to get the working capital you need to keep things running smoothly. 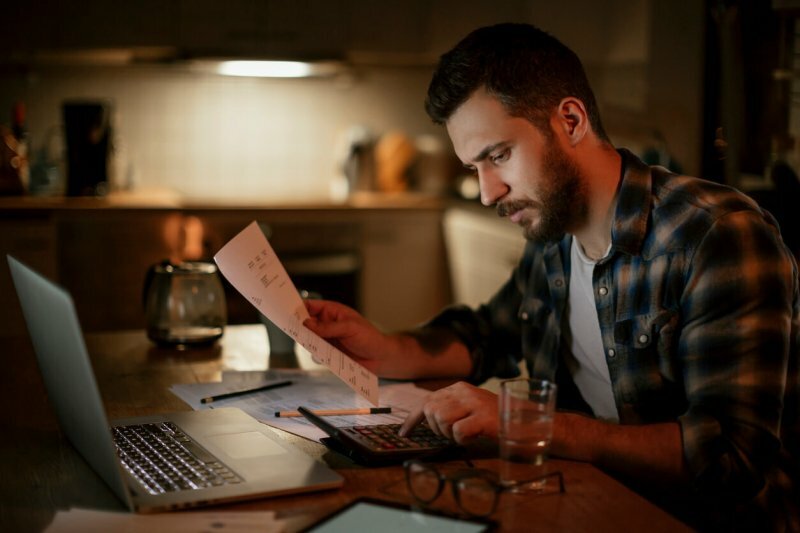 The type of debt financing that’s going to be right for you depends on what type of business you have, how much you need to borrow and what your cash flow situation looks like. A term loan is a loan that’s repaid over a set period of time. Term loans can either have a fixed or variable annual percentage rate (APR) and they typically have high borrowing limits. Term loans can be a useful source of working capital for meeting immediate expenses but there are also other ways to put them to work. For example, you could use a term loan to purchase equipment for your business, renovate your business premises or expand into a new location. The one thing you have to keep in mind, however, is that you may need a higher credit score to qualify, compared to a merchant cash advance or invoice loan. These types of business financing offer the same convenience as a term loan from an online lender, but they don’t rely as heavily on credit. Your ability to qualify for a merchant cash advance, for instance, is linked to how long you’ve been in business and your daily credit and debit card sales. Merchant advances allow you to borrow against your future credit and debit card receipts so you can get cash in hand now, versus having to wait for it. The primary drawback, however, is that merchant cash advances can be a very expensive way to borrow. Depending on how much you borrow and the advance lender’s terms, your APR could be well above what you’d pay for a loan. The same is true of invoice financing, also known as factoring. With invoice financing, your outstanding invoices serve as collateral for the loan. For example, if you have $50,000 in unpaid invoices, you may be able to borrow $45,000 of that for your business. Instead of an APR, you pay a factor rate, which represents the fee the lender charges. This fee can translate to a hefty APR. While invoice financing can get you the money you need very quickly, you stand to pay a high price for it. If you’re considering a term loan, merchant cash advance or invoice factoring to make ends meet while you’re waiting on a client to pay, be sure to do your research first. Compare borrowing terms with different lenders to see which types of financing you qualify for and what they may cost. Consider the repayment schedule to make sure that it’s something your cash flow can easily accommodate. There are any number of reasons why a client may be late in paying and in some cases, it could be because your invoicing terms simply weren’t clear enough. Take some time to review your contracts to see how the terms of payment are spelled out. If the wording is ambiguous, your clients may not even realize they’re late because you haven’t put the guidelines in place. The bottom line? Drafting up new contracts that outline when payment is expected and what the penalties are for paying late can help to head off major invoicing and cash flow issues in the long run.